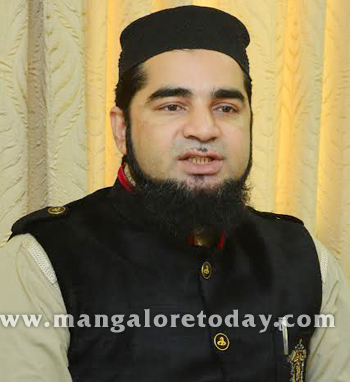 Mangaluru, Apr 09, 2015: MK Chishty, President of the Gujarat Haj Committee and Gujarat BJP’s Minority Morcha Chief has said that Islam never supports acts of terrorism and that it cannot be linked with terrorist activities. Speaking to reporters at the Circuit House on April 9, Thursday, he said even the Prophet has said that those resorting to terrorism cannot be called Muslims. He said the Prophet has clearly stated that only a person who follows Quran and Hadees can be a true Muslim. But it is a regret that some people have misinterpreted Hadees leading to confusion,Chishty further added. 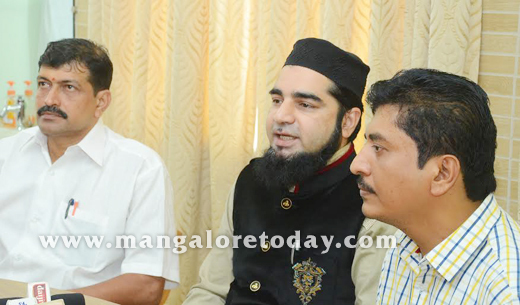 He also recalled his visit to the Ullal Dargah during the course of his city visit and described it as a centre which promotes inter-religious harmony and brotherhood. When asked about the Congress party’s comment ‘Maut Ka Saudagar’ against PM Narendra Modi, Chishty said it was under Modi’s rule in Gujarat that riots and terror acts reduced while communal riots used to take place every year during the earlier Congress and Janata Dal rule in the state. He said the PM strongly believes that peace was a must to achieve development. Chishty also made it clear that his party has nothing to do with the controversial Love Jehad or Ghar Wapsi. He claimed that the Prime Minister was making every possible effort to initiate stern action in cases of atrocities on minorities in the nation. Rahim Uchil, Satish Prabhu and other party leaders were present.